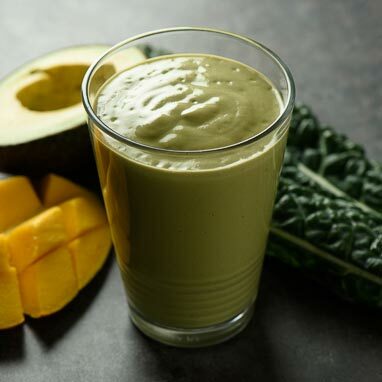 This smoothie blends vitamin-packed kale with tropical mango for a smoothie so tasty that you’ll forget it’s good for you. Almond milk, Greek yogurt, and avocado make this smoothie creamy and rich without the use of excess dairy. It might sound strange to put avocado into a smoothie but, once you try it, we’re confident that you’ll never turn back. 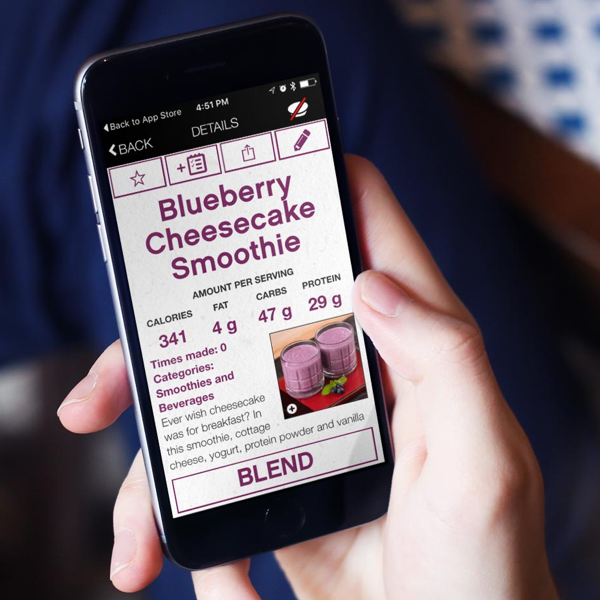 Avocados are packed with potassium and healthy fats to keep you full and support fat burning, and they actually contribute a very subtle taste to this smoothie. Protein powder sweetens the deal with chocolate flavoring and extra energy to get your day started on the right foot.